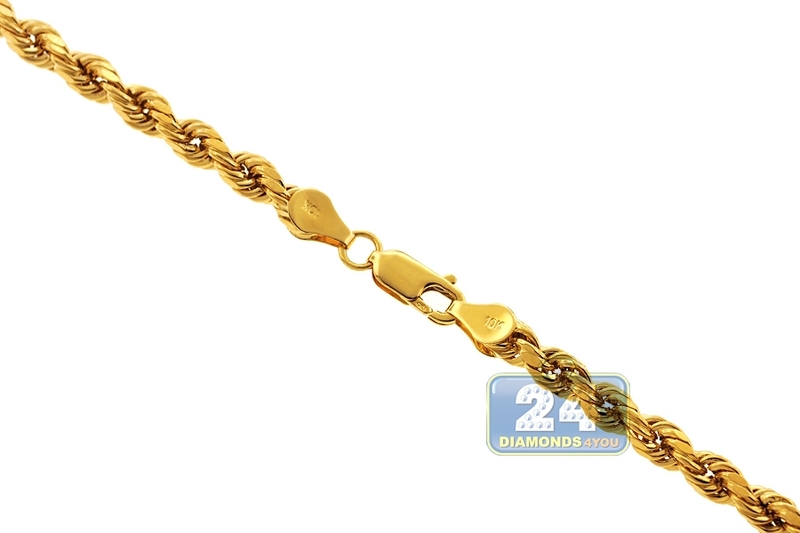 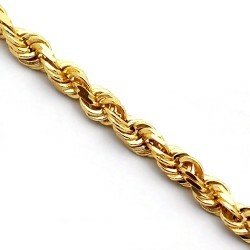 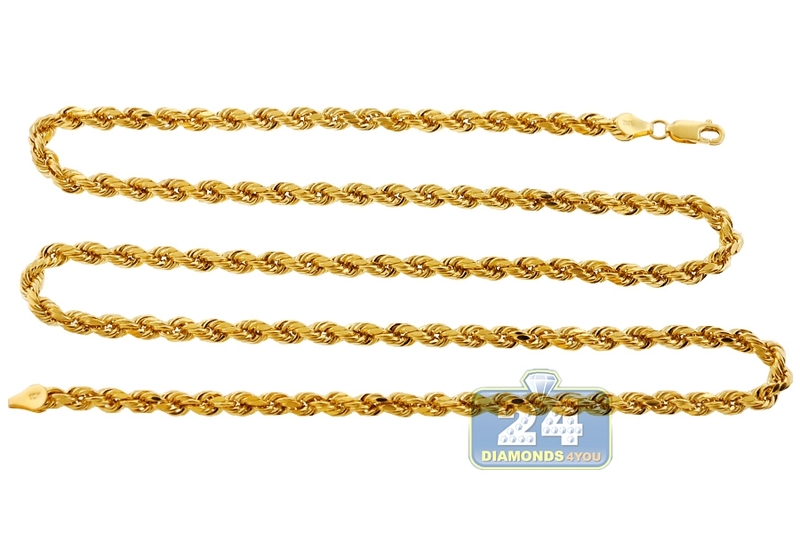 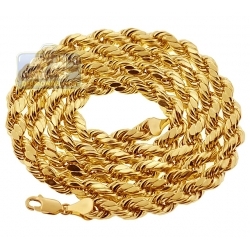 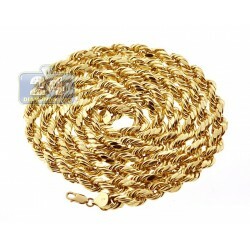 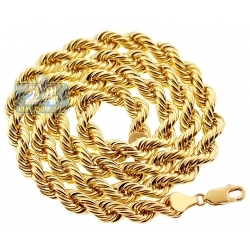 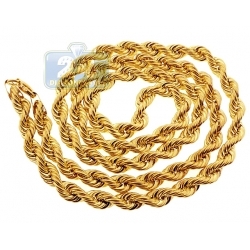 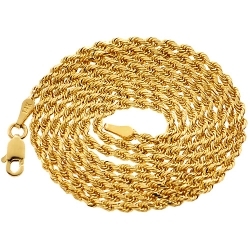 10K Yellow Gold Diamond Cut Hollow Rope Chain 4.5mm 26 28 30"
Show off your sophisticated taste wearing our spectacular hollow rope chain! 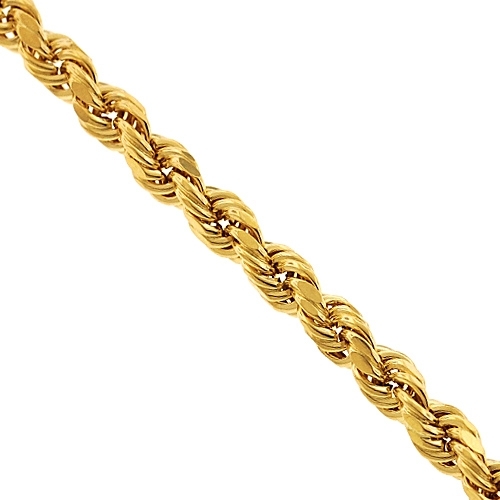 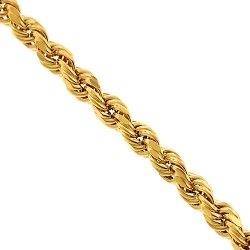 Professionally handcrafted in Italian 10k yellow gold, it has diamond cut pattern that adds extra shine. 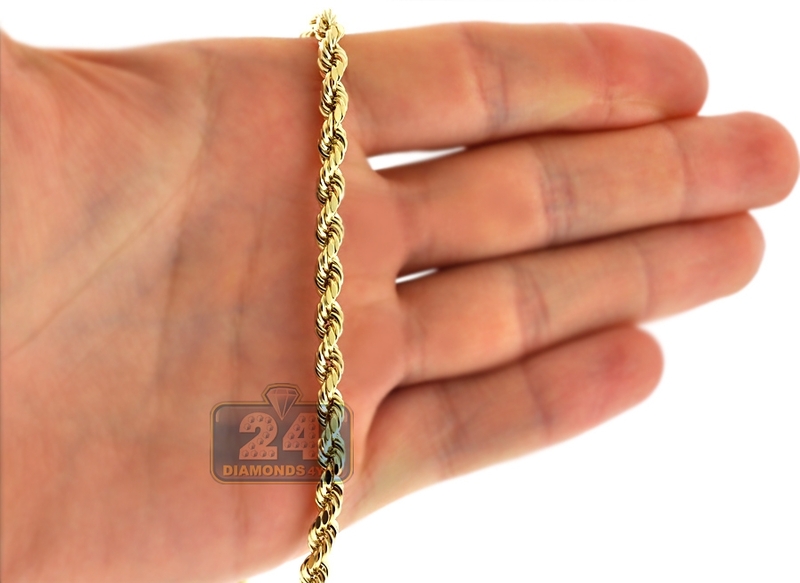 It measures 4.5 mm in width, and comes in length of 26, 28 or 30 inches. 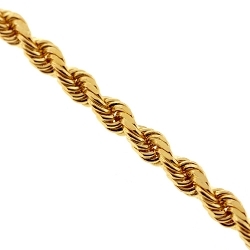 The piece is also secured with a comfortable lobster claw closure. 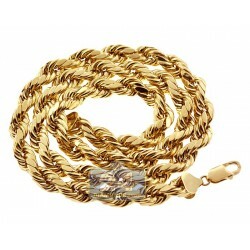 This men's classic necklace will never go out of style!